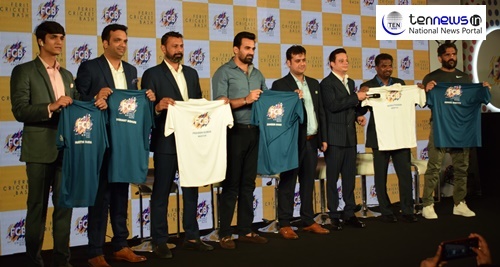 Sunil Shetty and Zaheer Khan Join Hands to launch Ferit Cricket Bash in National Capital! New Delhi: ( 19/12/18) Renowned Bollywood superstar and sports enthusiast Suniel Shetty, cricketing legend Zaheer Khan, and investors extraordinaire Jasmeet Bhatia and Mitesh Shanna, today announced the launch of Ferit Cricket Bash (FCB), India’s fust nationwide cricket league for amateur cricketers. FCB will feature 16 teams representing various regions of the country. Registration is open to players who are 15+ years, and the best performers will be selected, subject to an intensive 22-city talent search. The league aims to discover the most talented and passionate amateur cricketers from across the country. Praveen Kumar. Industrialists Jasmeet Bhatia and Mitesh Sharma, co-founders and promoters of FCB were also present.